It's sad to admit, but as I've gotten older, my body has gotten softer. I've been trying to make fitness a regular part of my life again, but I'll tell you, it's tough! When you've got kids running circles around you and an endless pile of laundry, accomplishing even one sit up just seems impossible. Everywhere you read, however, notes the power of tracking your fitness and food in aiding you to lose weight. I've tried that. I must admit that I tend to do ok for a while, but then have set backs or don't log details for weeks at a time. Now I'm sure you've seen other wrist worn fitness trackers, like the Jawbone or FitBit, I'm sure you've never seen one that looks like the Shine Fitness Tracker. 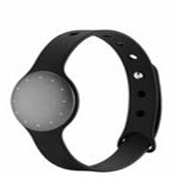 You can wear this tracker in different ways, just by popping out the little disk on the front, it can be a watch, a necklace, or just be clipped to your belt. Wear it in the way you want. Not only can you choose how to wear it, but you can get your disk in different colors. Shine is exclusively available in additional colors at Best Buy including Silver, Black, Champagne and Topaz. One of the most important phrases in the specs is "device that will empower people to be more proactive about their personal health." While I have to admit I was skeptical at first, I found that just by having the Shine on my wrist, I remembered my goals and thought about my activity and food intakes more. Now, I have to say that the app leaves something to be desired. The insight that I want from a fitness tracker just isn't there, nor is the portability. Right now, the Shine only works with iPhones or iPods of the newest variety. I had to borrow an iPhone to test this product. That was a really big let down. For now, it will probably sit in a drawer until someone develops the api for Android. 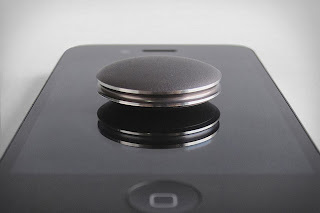 Also, the idea of setting the disk on the iPhone seems cumbersome every time, compared to other trackers abilities to do it via a wireless sync. That being said, it is a really cool little device and did increase my motivation to work toward my goals, and it is one of the most sleek fitness trackers on the market and is definitely worth a look if you are an iPhone user. The reviewer has been compensated in the form of a Best Buy Gift Card and/or received the product/service at a reduced price or for free, though all opinions are her own.